The Dow Jones Industrial Average soared by 322 points on Wednesday, Jan. 17, finishing above 26,000 and setting a new record close. The S&P 500 and Nasdaq also finished at new record highs. The Dow Jones Industrial Average rose 1.25% to finish at 26,115. Pacing the Dow's gains were tech giants Intel Corp. (INTC - Get Report) , up 2.9%, International Business Machines Corp. (IBM - Get Report) , which gained 4.6%, and airplane maker Boeing Co. (BA - Get Report) , which closed 4.7% higher. The S&P 500 rose 0.94% and the Nasdaq jumped 1.03%. Shares of Apple Inc. (AAPL - Get Report) gained 1.6% Wednesday after the iPhone maker said it would invest $350 billion in the U.S. economy over the next five years and expects to create 20,000 new jobs. The Dow broke through 26,000 for the first time on Tuesday, Jan. 16, but ended the day with a small loss. 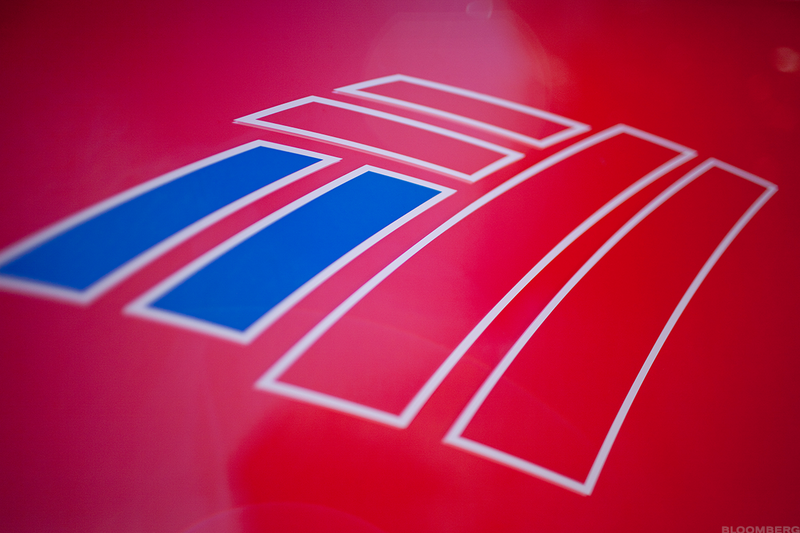 Bank of America Corp. (BAC - Get Report) , the second-biggest U.S. bank, said fourth-quarter profit tumbled 48% amid a slump in bond trading and as the new U.S. tax law triggered a slew of multibillion-dollar write-downs. Net income fell to $2.37 billion. Earnings per share were 20 cents a share, including a charge of 27 cents a share related to the tax act. The adjusted figure of 47 cents a share compares with analysts' estimates of 45 cents. The stock pared earlier losses and was down 0.1%. Goldman Sachs Group Inc. (GS - Get Report) , the Wall Street bank mired in a slump amid sluggish bond markets, posted a fourth-quarter loss of $1.93 billion, capping a dismal year for CEO Lloyd Blankfein that has led some analysts to call for his ouster. The loss included a $4.4 billion expense for taxes on foreign earnings and other costs triggered by the new U.S. tax law passed in December. The bank posted a quarterly loss of $5.51. Excluding the tax charges, earnings per share were $5.68, exceeding analysts' estimates of $4.92. In bond trading, historically one of the bank's biggest moneymakers, revenue tumbled 50% to $1 billion, the company said. The Financial Select Sector SPDR ETF (XLF - Get Report) rose 0.8% after falling earlier in the session. Shares of Juno Therapeutics Inc. (JUNO jumped 51% on Wednesday following a report in The Wall Street Journal that said Celgene Corp. (CELG - Get Report) was in discussions to acquire the biotech company. The Health Care Select Sector SPDR ETF (XLV - Get Report) gained 0.9%. Ford Motor Co. (F - Get Report) fell 7% Wednesday after the automaker said it expects lower operating profit in 2018, reflecting higher commodity costs and adverse exchange rates which offset cost-cutting actions the company is taking. For 2018, Ford guided to adjusted earnings of $1.45 to $1.70 a share. CSX Corp. (CSX - Get Report) shares declined 0.7% after the railroad company reported better-than-expected earnings for the fourth quarter but didn't meet revenue expectations. In U.S. economic news, industrial production in December rose 0.9%, the fourth straight monthly increase, the Federal Reserve said. In Europe, the Stoxx 600 index slipped 0.1% while Asian stocks ended the session mixed. ASML NV (ASML - Get Report) , a Dutch supplier of tools and equipment for the semiconductor industry, jumped 6.8% and hit a record high after stronger-than-expected fourth-quarter earnings revived prospects to a renewed "supercycle" in global chip demand. Global oil prices rose modestly softer Wednesday. West Texas Intermediate crude oil, the U.S. benchmark, rose 0.4% to $64.01 a barrel.